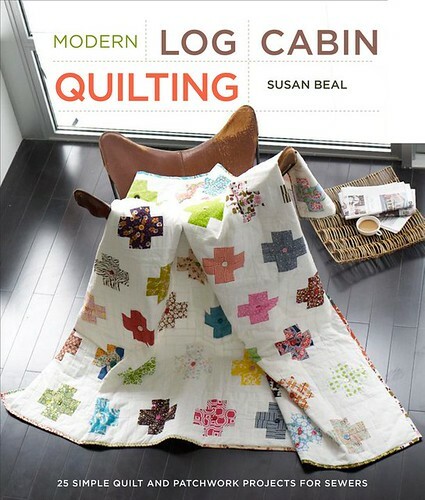 Modern Log Cabin Quilting is a collection of ten quilts and fifteen smaller patchwork projects to make, with plenty of beginner-friendly instructions on choosing fabric, cutting, piecing, basting, quilting, and binding. Whether you’re new to quilting or looking for some fun techniques to mix into your quilt projects, I hope you enjoy the book! I’m so lucky to have my friend Daniela Caine contribute two projects to the book – her Northwest Modern Quilt and Favorite Fabrics Handbag. She also created the wonderfully clear assembly diagrams that accompany each project. My longtime collaborator Alexis Hartman made the other illustrations throughout. The book photography is by Alexandra Grablewski, Heather Weston and Marcus Trullis. Special thank-yous to the Aurora Colony Historical Society, the Benton County Historical Society, Elizabeth Hartman, and Alissa Haight Carlton for contributing photographs of their antique and modern log cabin quilts, too. Lots of photos and more details coming soon… publication date is March 22, 2011! Check out the book’s flickr pool right over here in the meantime. I just got your book last week, and am looking forward to using it! I found your book at the library and love it! It’s on my wish list to buy now, I want to make all the projects.